My brother and I don't get to hang out very often anymore. No longer are the days of playing Pokémon together on linked Gameboys or waiting under "our tree" for our mom to pick us up after school. I'm at college. He's at home, about to leave for college. Once that happens, I have a feeling I'll see him even less. 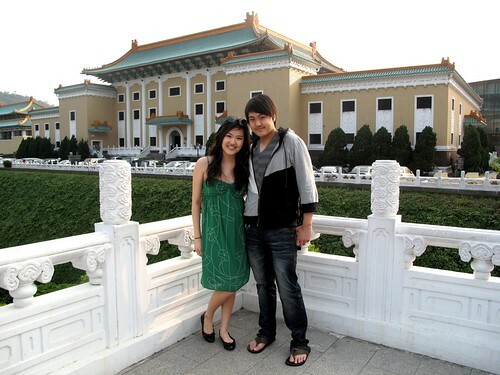 So when the opportunity came up for us to have a day together, just the two of us in Taiwan, I knew it was a rare occasion that should be treasured. My parents said we'd have to "fend for" ourselves for a day but I said we were going to "enjoy" ourselves. Granted, I already had a personal agenda for the day, namely one that involved a museum, but I also wanted him to enjoy being with me. I wanted to make him enjoy being with me and say to himself, "Hey, a day with my sister ain't so bad..."
Lunchtime came around and I was starving. I asked my brother if he was hungry. "Where do you want to eat for lunch?" Obviously he doesn't share my enthusiasm for food. It's okay. I love food enough for the both of us. 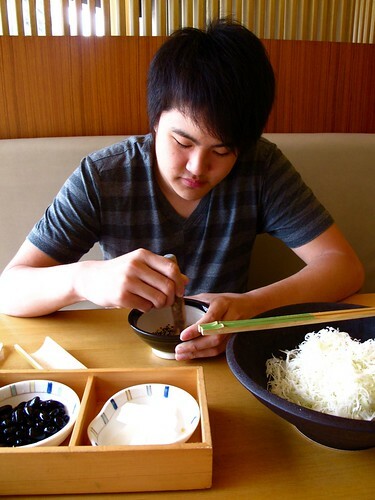 I remembered that he used to LOVE tonkatsu when we were younger. I used to dread it--oily, dry, over-sauced fried piece of pork was not my thing. This was before the transformation of my never-hungry stomach to the bottomless pit it is today. This was also before the establishment of Saboten Tonkatsu in Taipei. Nowadays, I love getting tonkatsu from Saboten. I crave tonkatsu from Saboten. 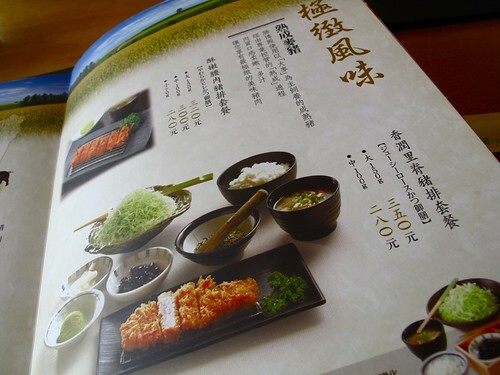 I wouldn't even consider getting tonkatsu anywhere else in Taiwan. It is one of my guilty pleasures. After all, a fried piece of pork cutlet, no matter how perfectly golden brown and crispy, is still not good for you, but Saboten makes it worth it. I figured this was the perfect place to have lunch with my brother. It was. It turned out the boy was actually pretty hungry. After we placed our orders he declared he was starving. Wasn't he not hungry JUST 10 minutes ago? Anticipating the food was making him hungry he said. Apparently he wasn't just hungry, he was ravenous--he downed a large size piece of pork cutlet, an entire boat of curry, so many refills of shredded cabbage I lost count (which by the way is probably more than the amount of vegetables my meat-loving brother consumes in an entire year), two large bowls of rice, and MY unfinished bowl of rice--down to the last grain. That boy can eat when he wants to. 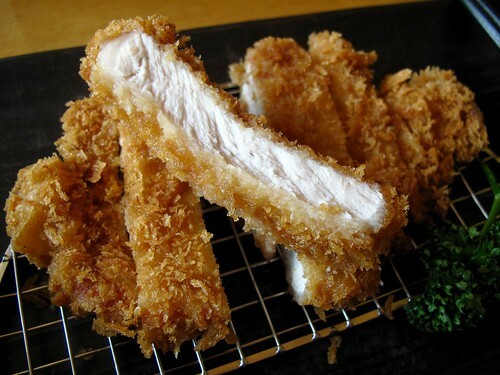 Saboten Tonkatsu originated in Japan's Shinjuku district 43 years ago. 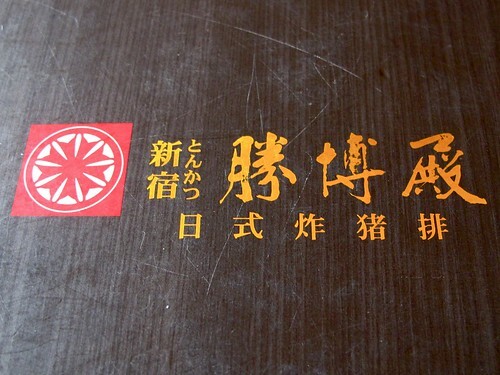 Today, it is the largest tonkatsu chain in Japan. 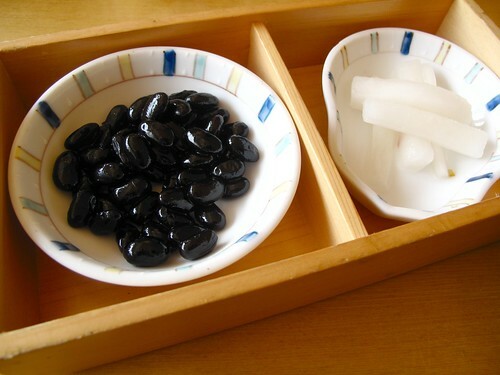 All the set meals include all you can eat cabbage (to be enjoyed with a ponzu like vinaigrette or sesame tonkatsu sauce), complimentary starters such as sweetened Japanese black beans, pickled daikon, miso soup, a steaming bowl of rice, and ending with dessert. There are multiple locations in Taiwan, but there are two that I frequent in Taipei. One is located inside the ShinKong Mitsukoshi XinYi A9 department store on the 6th floor. Although convenient for those who are tired from strenuous all-day shopping (such as myself), it can get incredibly crowded during meal times, with wait times averaging 30 minutes. My favorite location is one tucked away behind the Sun Yat Sen Memorial Hall on Guang Fu S Road. 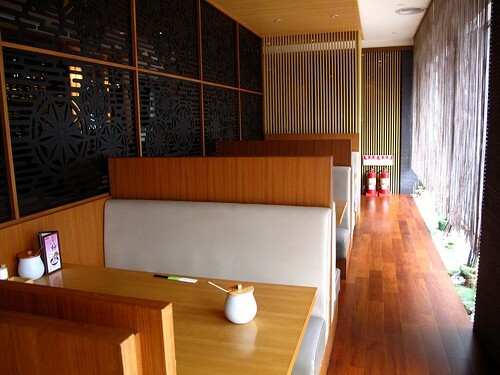 It tends to be a little less crowded, lending to a calmer, more tranquil dining environment. I find the price range very reasonable--the price for a set menu varies depending on the cut of meant and size of the cut. For a leaner cut of pork(I don't know the name of the cut in English...maybe the loin?) prices range from 280NT-320NT (about $8-$10). For a fattier cut (one that I actually prefer) prices range from 280NT-350NT. Of course there are other menu options, such as fried shrimp or vegetables, but I can't help but always order that lovely portion of delicious pork. 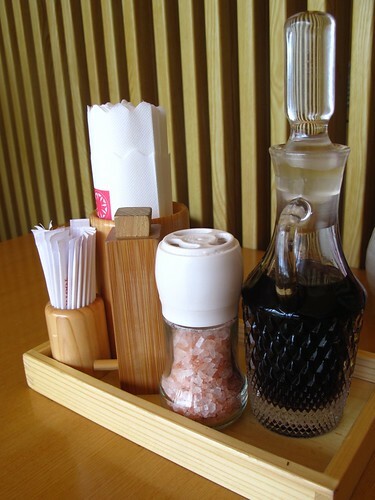 I love the selection of condiments available--a wooden container of Japanese chili, Himalayan salt grinder, ponzu-like vinaigrette dressing, and the best tonkatsu sauce in the world. There really is no other sauce like it. I would describe it as "umami" but to be honest, I don't really think there is a set definition for the word. 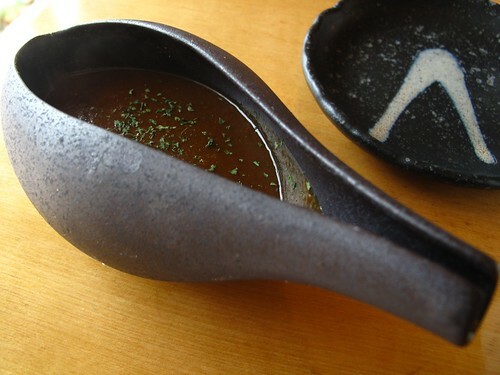 Slightly sweet, slightly tangy, the sauce is held in a large ceramic jar with a wooden ladle. Food that is interactive always tastes better. At Saboten, one must work for the delectable sauce. 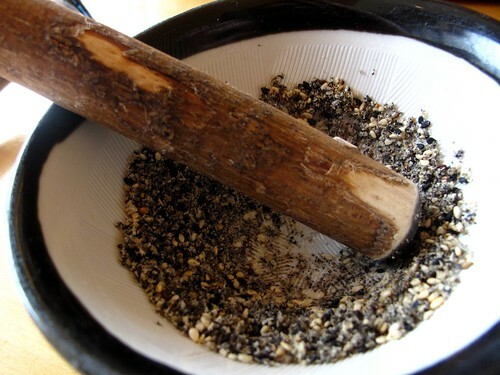 Every place setting includes a mortar and pestle filled with black and white sesame seeds. 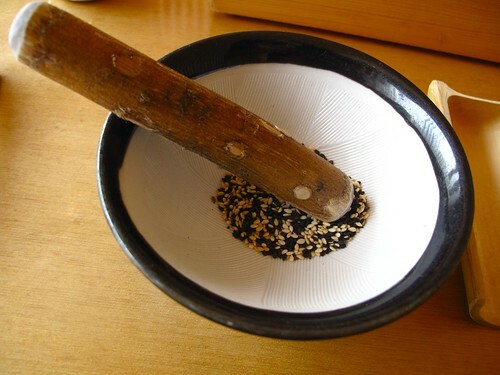 Grinding the sesame into a fine powder is one of Kevin's best skills--look at him working away! 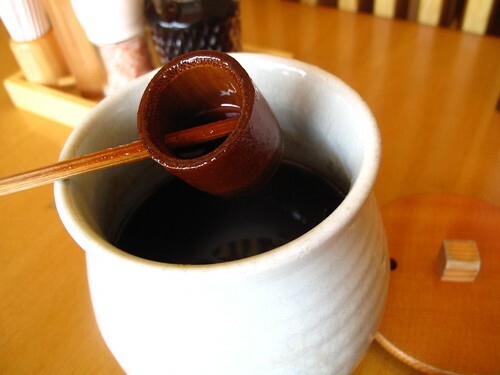 Add in the previously mentioned tonkatsu sauce, and you have a delicious concoction ready for crisp, juicy pieces of fried pork. 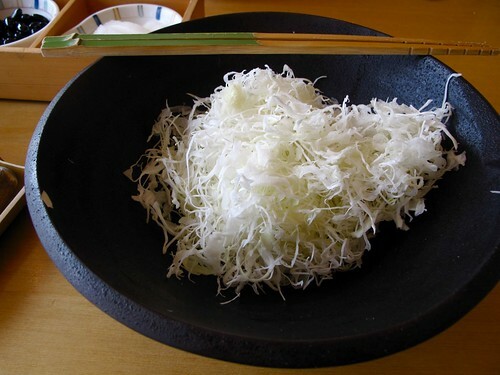 The bottomless bowl of finely shredded cabbage is indispensible in enjoying tonkatsu. Any restaurant serving tonkatsu would have this snowy mound of cabbage. However, texture is everything. It must be THIS finely shredded. Any thicker, and the experience will not be enjoyable. Sadly, this is a mistake that many tonkatsu restaurants make. Not at Saboten though! It's shredded to such a delicate thinness that it's perfect for soaking up some of that ponzu vinaigrette. ...and the meal arrives. 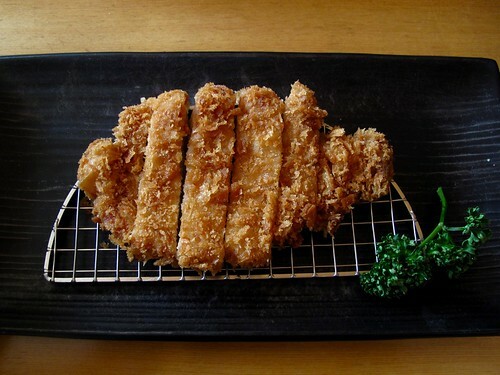 Every portion of pork cutlet is fried to a golden crisp. Crispy on the outside and juicy on the inside, it doesn't get any better than this. It's so expertly fried, with no visible grease disturbing the crunchy panko breading. 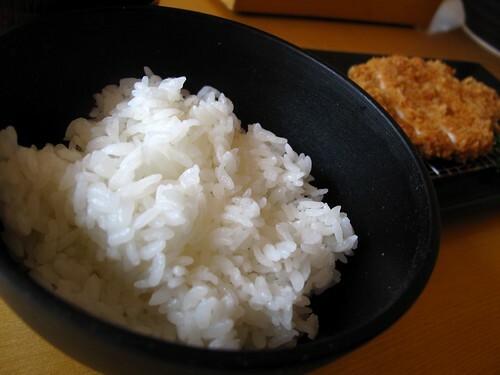 And something MUST be said about the rice served at Saboten. It's absolutely delicious! It's just rice, you say. It's not JUST rice. 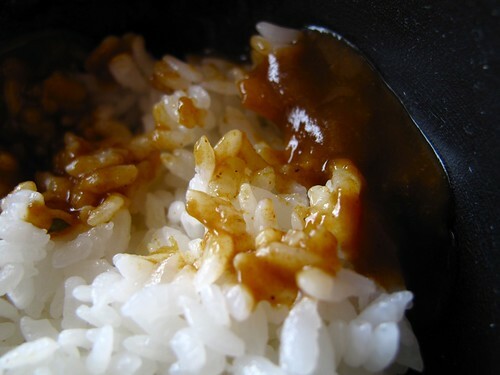 Every grain of short-grain rice here at Saboten is perfectly chewy and "Q." Most importantly, you can taste the flavor of rice. It's not just some plain stomach filling carbohydrate. It actually has flavor and aroma. 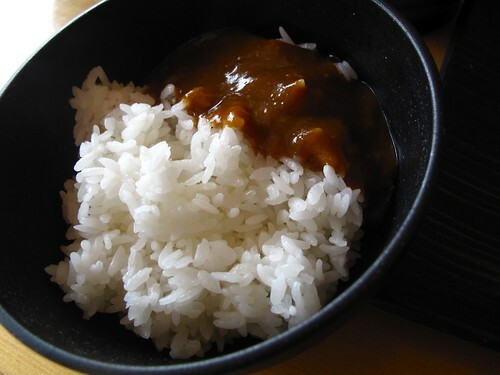 Of course, we always end up messing up the pristine bowl of white rice with some Japanese curry, but that's because the curry here is also pretty tasty. Call me crazy, but it's the best rice I've ever had. 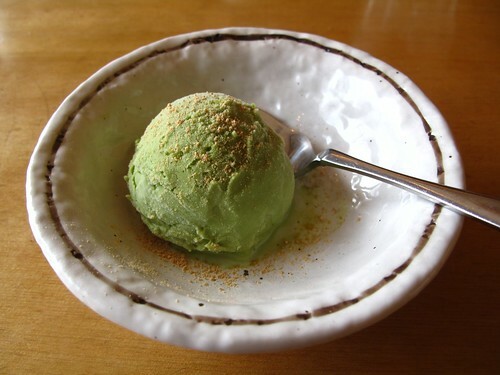 Finally, dessert is usually some green tea ice cream. I wish it was good ice cream so that I could continue gushing about how delicious Saboten is, but sadly, it's just ice cream and it's not that spectacular. So although it's a meal involving a piece of fried pork, I'd say it's a relatively healthy meal ;) I mean, look at all that cabbage! In the end, though, Saboten is just so damn delicious, I usually don't need any kind of reasoning to indulge in a golden, deep-fried piece of tonkatsu. Needless to say, my brother and I both left full and satisfied! Aww, I like this post. I have a little brother, too. I love him so much! I'm with you tonkotsu never really did much for me but from your pictures that looks pretty damn tasty. Hope you feel better soon. It would be a crime not to partake of Taiwan's culinary delights on your trip. Photos are godlike; I'll have to remember this place on my next trip to Taiwan. @Epicuryan: not being able to eat is driving me crazy! Oh my gosh, all this food looks delicious!! Are you able to recommend any nice restaurants (and perhaps a little fancy) in Taipei? Japanese food in Taiwan operates at such a different level than in the US (in general). Great writeup! Great post, I just visited a Japanese location and loved it. I copy and pasted the Chinese text for my blog, thanks!